It’s the island on the map that looks like a butterfly – the French island of Guadeloupe is perfect for sailors with calm lagoons and coves, easterly trade winds and line-of-sight sailing. 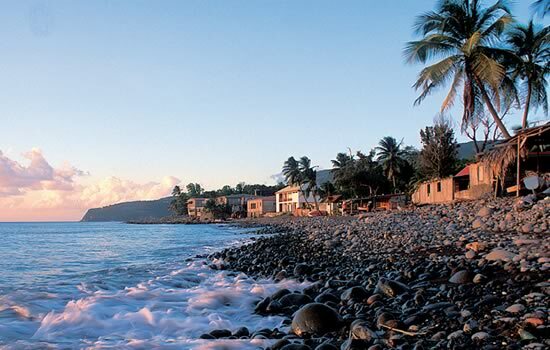 A fusion of two landscapes: Grande-Terre has the commercial capital and the main port and Basse-Terre has the administrative capital and is a vast, fertile, nature reserve. On Grand-Terre enjoy the classic Caribbean beach holiday on white coral sands, while in contrast on Basse-Terre find yourself in a green land of tropical rainforest and mountainous slopes. GUADELOUPE BAREBOAT CHARTERS - The ultimate in privacy & freedom, bareboat rentals are for groups having their own qualified skipper. Hiring a captain and or hostess/cook always remains an option. For a list of our available Bareboat yachts, please Click Here. Our Bas du Fort base at the fully equiped marina in Gosier is part of a large complex with a selection of cafés, bakeries and excellent restaurants. A trip to Pointe-a-Pitre will take you into the lively atmosphere of the traditional Creole fruit and vegetable markets. From the base, exhilarating open-water sailing encompassing Iles des Saintes, Marie Galante and Dominica offers the chance to see some of the most undeveloped islands and amazing rainforests that the Caribbean has to offer. Below you will find links to additional information we are certain you will find useful pertaining to your yacht charter vacation out of Guadeloupe. 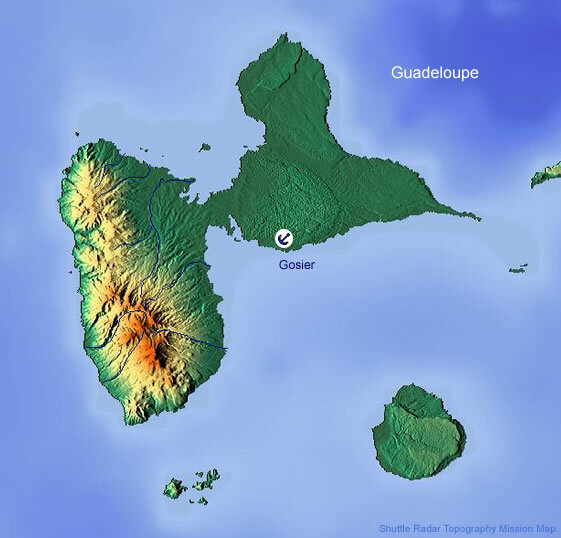 Practical Travel Info: For useful tourism related information for Guadeloupe.